Walter Cullen Bryant is a native of Rocky Mount born in 1923. He spent much of his life recording images of African Americans in Nash and Edgecombe counties. A graduate of Booker T. Washington High School, he studied photography in New York. 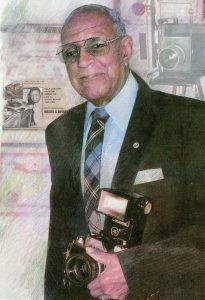 The first certified African American photographer in Rocky Mount, he opened his studio in 1945 on the Douglas Block in Rocky Mount. Mr. Bryant not only shot portraits and weddings, but also documented his community by taking pictures of everyday life, such as farmers at the tobacco market, parades, and street scenes. Many of his photos were used by the Rocky Mount Telegram.